Official language of the event - English. Roger Ver – a multimillionaire, entrepreneur and politician, one of the main supporters of Bitcoin Cash, the creator of the projects blockchain.info and bitcoin.com. 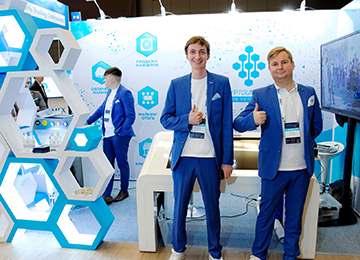 Sergei Khitrov is an entrepreneur, blockchain expert, Blockchain Life 2019’s main organizer. Sergei is a founder and CEO of a leading venture and crypto fund – Jets Capital and Listing.Help – a listing agency. Venture investor, business development expert, serial entrepreneur, co-founder and CEO of ELVN Cryptomessenger. Alex is an founder of more than 10 projects in the IT and FinTech industries with a total capitalization of more than 100 million euros. In only one and one-half years, he was able to create an international community which today unites more than a quarter of a million people around the world. Given his interest in blockchain technology, he is looking for and supporting technologies and projects that will make a significant contribution to the technological development of our society. Xinxi is a founder and CEO of coinut.com, and Litecoin Foundation – a foundation promoting a cryptocurrency built on the premise of quick confirmation times and low transaction fees. Xinxi is also a developer of LitecoinCore and holds a PhD in Computer Science from NUSingapore. Tim – a top global venture capitalist, founder of a venture company DFJ and Draper University. He is listed as one of the top 100 most powerful people in finance by Worth Magazine and was awarded the World Entrepreneurship Forum’s “Entrepreneur of the World”. Tim was one of the first investors of Tesla, Skype and Hotmail. Co-Founder of Dash Thailand. Dash is the leading cryptocurrency for real life payments. Felix is also Co-Founder of FUTERIO, a Southeast Asia based gateway to Blockchain and Co-Founder of the German Blocktech Institute, helping startups and corporations from all sectors finding and implementing their Blockchain potentials. Elias – a tech-venture capitalist, co-founder of NEO Singapore and a director at Moonlight.io. He is also a board of advisors member at Imusify – a blockchain based music platform. Vit is a Czech politician, activist and expert on blockchain implementation. In 2015 he proclaimed a microstate of Liberland, located on a neutral territory called Gornja Siga between the borders of Serbia and Croatia, in the historical region of Baranja. Anatolii is a founder of an iconic Forklog magazine on cryptocurrency and blockchain, the head of Forklog Consulting. He is a blockchain economy and crypto expert. Garrett – a CEO of the world’s leading financial service BitForex. Prior to that he co-founded a medical platform in Germany – FuLang Medical and also worked as an operations Director at Huobi. Arkin – a COO of a hedge fun IvoryBay Capital. Prior to that, he was a Global Businesses Development Director of Bytom Foundation – an interactive protocol of multiple byte assets and worked at Huawei in Casablanka and Saudi Arabia. Bing – a Chairman and CEO of Block Capital Group and a Founder and CEO of SNC. He helped to manage institutional capital at global platforms such as Joho Capital (Tiger Cub Fund), State Street Global Advisors, and Keywise Capital, and also managed money for Protege Partners, one of top 5 fund of funds. He worked at E&Y for 3 years building an online tax consulting platform. Malcolm – an established Singaporean multi-faceted lawyer-entrepreneur. Owing to his extensive experience, he held legal counsel positions in both global and regional capacities across the Asia-Pacific region, MENA, and North America. Martin is a European entrepreneur, engineer-innovator, co-founder of Bitcoin Gold and founder of Cryptoapps. He is a board member of Credits and Depository Work projects. He is currently actively working on a fin-tech project Phyre and advises high-class startups around the globe. Giacomo is №1 European Growth Hacker, an ICO and STO advisor, crypto enthusiast and a founder of Black Marketing Guru. ICOs he has advised have collected more than € 18,4M. CEO Gavin Smith has extensive experience in the conventional finance and cryptocurrency sector. With a 20 year CV that includes managing risk and hedge optimisation for one of the world’s largest commodities companies, Gavin speak about a problem that worries every successful token founder – If crypto goes down and you’re left the token’s capital in crypto, you are at risk of losing your operating capital and if crypto goes up but you’ve put all the ICO money into fiat, you are at risk of falling behind the competition. 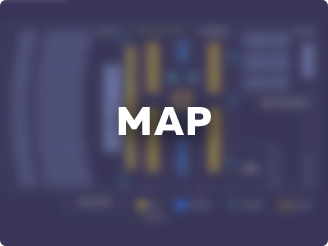 12:55 IEO or listing on exchanges. How projects and investors can succeed? Efficient mining. Problems and solutions. ICO and crypto projects advertisement. New and efficient traffic channels. Выступление об эффективном майнинге. Его проблемах и их решении. During 24 hours you will get an electronic ticket to your e-mail address. The price schedule is indicative, ticket prices can rise any day, depending on the dynamics of sales. Buy a ticket right now at the best price. The Forum’s venue is the unique resort in the Singapore downtown which has been included in the world best buildings list. 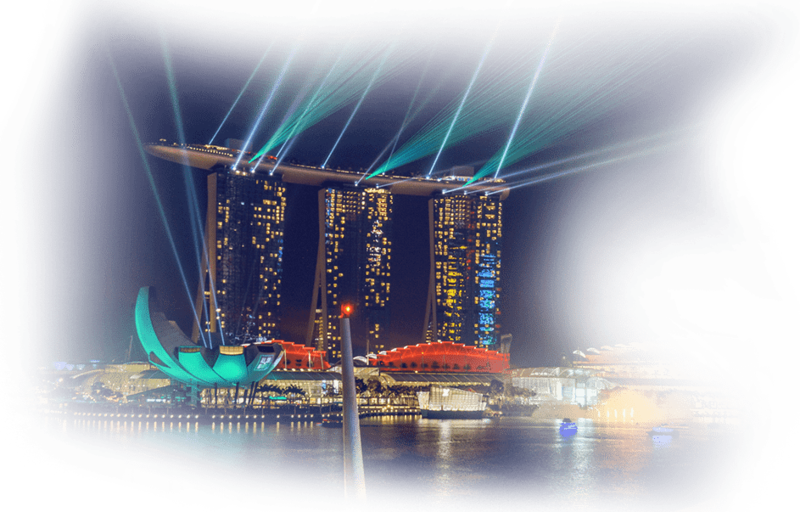 This masterpiece named Marina Bay Sands Hotel consists of three 55-story towers with a height of 200 meters with a large gondola terrace on it. Enjoy staying at amazing Singapore hotels during Blockchain Life 2019. 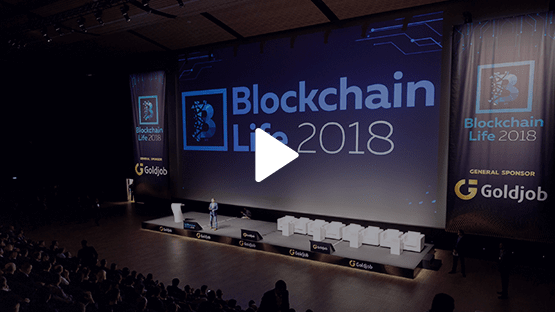 Binance and Huobi at Blockchain Life 2019! Reps of Binance and Huobi to speak at Blockchain Life 2019! Ella Zhang (Binance) is going to give a keynote speech on "Realizing the potential of blockchain technology". Edward Chen (Huobi) is taking part in "Best world exchanges. Market forecasts and insights" section alongside with reps of KuCoin, BitForex, COINEAL, EXMO, CoinSuper and DigiFinex. Blockchain Life Awards 2019: the voting is open! Vote at the biggest independent award in the blockchain and cryptocurrencies industry! "Global Blockchain Investment" section is revealed! 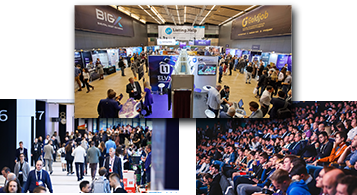 We are happy to announce the special section with the top world funds and investors from all over the world at Blockchain Life 2019! The general topic of the section is “Global Blockchain Investment”. Keynote speeches, panel discussions and hot debates are continuing on the 2nd day of the forum from 8 a.m. till 11:20 p.m.The special section is organized in great cooperation with Hong Kong Blockchain Association & Global BlockChain Investment Alliance. 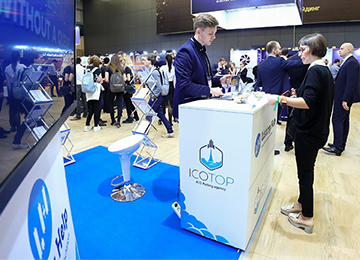 Meet the most famous representatives of the international crypto community and establish effective cooperation with them. All the insights about trends, ways of earning and new opportunities will be heard from the stage and in the lobby. Get acquainted with the best and promising projects in the industry, find out which cryptocurrency and projects can be profitable now. Learn how you can earn by investing free money in cryptocurrencies and blockchain projects. Be the first to learn how to implement blockchain into your business today and earn more. Find out about all stages of the project creation and promotion: documents, team, advisors, advertising, traffic, funds, ratings, etc. Win the attention of investors by presenting your project at a StartUp Pitch. If your ICO is already over, find out how to quickly place a token on the world's largest crypto exchanges and properly manage the value of the token. Find out all the features of earning on mining during the unstable rate of cryptocurrencies. Get advice from the world's mining companies and get acquainted with the latest equipment of 2019 right at the exhibition. 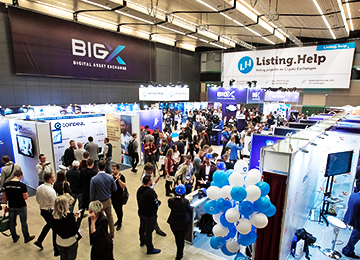 Find customers for blockchain development and discover innovative solutions in this field at one of the biggest forums in the world. Thousands of BL 2019 participants need to develop on the blockchain, and a personal acquaintance will play a significant role in their choice of a contractor. Types of blockchain - which one to use? When to expect the next Crypto Market Bull Run? Cryptocurrency portfolio - what is it in 2019? How Bitcoin-ETF will change the market? How to attract funds and large investors in 2019? How to list on cryptoexchanges and not be dumped? 2019 - the new life of mining? What mining machines to buy now?